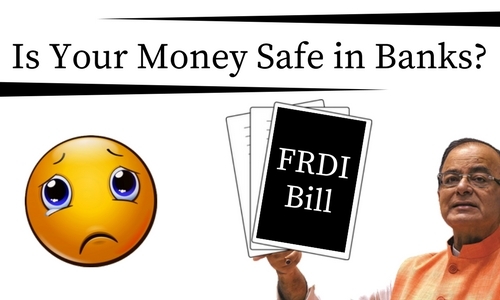 FRDI Bill - Is Your Money Safe in Bank? We all rely on banks when it comes to protecting our cash or financial deposits. The banks or financial firms are considered to be the most convenient, reliable and secure organisations to keep our money safe, but what if the bank in which you deposit your money is on the verge of liquidation and without any prior information a certain amount of money is deducted from your savings or your savings are turned into fixed deposits for an indefinite period of time? Of course, whatever written above is shocking but this thing can happen with the approval of Financial Resolution and Deposit Insurance Bill 2017 which is going to be tabled in the winter session of Parliament. Let's figure out what does this bill has in its court. According to a report published in Deccan Chronicle report a bail-in provision was used in Bank of Cyprus in 2013. Consequently, the depositors lost half of their money which was uninsured. In June 2017, the Government of India approved the FRDI Bill which directed to frame new rules for banks that are failing. As a result of Finance Minister Arun Jaitley's announcement, a committee was constituted under the chairmanship of Ajay Tyagi on 15 March 2016. The committee was asked to draft and submit the Bill. Representatives of the financial sector regulatory authorities and the Deposit Insurance and Credit Guarantee Corporation were also members of the committee. The committee submitted its report and the draft of FRDI was prepared. The finance ministry invited comments on the Bill till 31 October 2016. After considering all comments and suggestions the Union Cabinet approved the bill to be introduced it in the Parliament. It will also provide the necessary instruments for dealing with crisis events. A resolution corporation will be set up to strengthen the stability and resilience of the entities in the financial sector. Establishment of a Resolution Corporation is proposed in the bill. This corporation which will monitor financial firms and it will calculate their stress and take "corrective actions" in case of a failure. This Corporation will group the banks or financial firms on their risk factors. Risk factors are categorized as low, moderate, material, imminent, and critical. During critical condition, the Corporation will take over and resolve issues within a year. The corrective measures are merger or acquisition, transferring the assets, liabilities to another firm, or liquidation. The number of employees in the stressed firm can be cut down, employees can be transferred and issue pay-cuts. Beyond two years, the firm would be liquidated. Presently, Reserve Bank and the IRDAI handle these functions for the banking and insurance sectors. The RBI has allowed PSU banks to take over stressed banks to protect the depositors and employees. 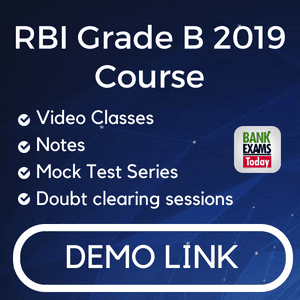 The Deposit Insurance and Credit Guarantee Corporation (DICGC) which is a subsidiary of RBI ensures all kinds of bank deposits upto a limit of Rs.1,00,000. In case of bank liquidation, the depositors would be paid through DICGC. Resolution Corporation may neither specifies the insured amount nor the amount a depositor would be paid. The Resolution Corporation will be under Finance Ministry and it will have the representatives from SEBI, RBI, IRDAI, and PFRDA. What is Bail in Clause? A 'bail-in' clause is proposed in the bill as one of the methods to resolution. The banks can issue securities in lieu of the money deposited. Resolution Corporation can use your money in case the bank sinks. This is different from a traditional bailout in which government's money helps bank tide over the crisis. In case of a bail-in, it is the bank's own deposits that is used to rescue the bank or reduce its liabilities. Under Section 52 of the FRDI Bill, the rescue body can cancel even the Rs 1 lakh insurance that you get under the current law. A bank can even declare that they don't owe you any money at all. 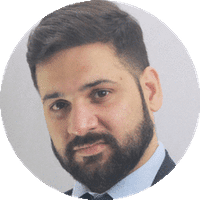 It provides an option to the rescue body to modify a bank's liability. The bank can keep the money in a locked-in period (in a FD) and change the time period without consulting you. The bank may be exempted to fulfil its promises to depositors in extreme cases. This means you lose all your money. This can happen in case of an economic downturn when bank asks for a bail-in option. How will it affect the common man? After comprehending the bill, we came to a decision that this bill if passed in the parliament can raise questions as the common man's rights are being challenged. If passed, this bill is going to be a burden on the common man as the banks face the problems of Non-Performing Assets because the big firms do not repay the loan and indirectly their loan will be paid by the people who deposit their hard-earned money in banks. As the role of RBI will be terminated, there will be no security for the depositors.